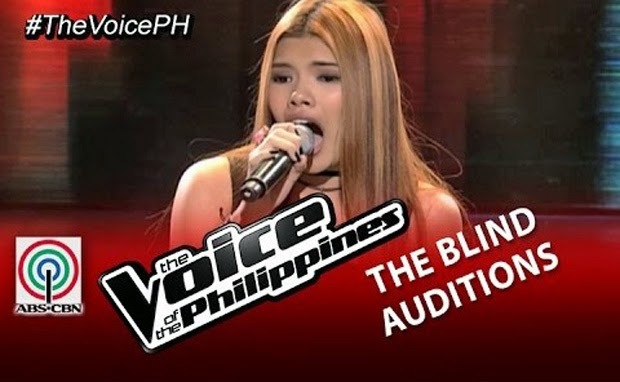 Krystina Louise Ng, 16 years old from General Santos City gave her own version of the song “House of the Rising Sun” that convinced Coach Apl.de.ap to push the red button and turn his chair. If you are going to watch Krystina’s performance, you will notice that it was not an easy one considering the fact that she gave her best to hit the right notes. Excellent performance for her. Krystina sacrificed a lot from her life. The reason why she joined the singing competition was to give people a hint of her. At first, it was hard to identity the kind of song that she was singing because of unusual melody. Krystina offered her best but she found it hard to impress the coaches. The song was about to end but nobody turned their chairs until Coach Apl.de.ap did it. Krystina was so happy with what happened. The coaches agreed that Krystina over sung the song considering the fact that it is a classic song and it tells a lot of story. They said that they liked her voice but the thing is she has to know exactly how to use it. Coach Apl.de.ap said that he liked the dynamic of her voice and she can do something about it. The set-up is there, along with the build-up. We can watch more of Krystina’s performance in the next episodes of The Voice of the Philippines Season 2. Once again, congratulations to Krystina Louise Ng for making it to Team Apl.